What to do if AC is Not Cooling? How Much Does It Cost to Get An Air Conditioner Fixed? Few things are worse than having your air conditioner break down in the middle of an interminably hot summer. In most cases, the routine application of HVAC maintenance will keep your AC unit working smoothly. If you need your air conditioning unit to be repaired, the costs vacillate between $163 and $533. Most homeowners report that they spend approximately $347. Why Do Air Conditioners Stop Working? 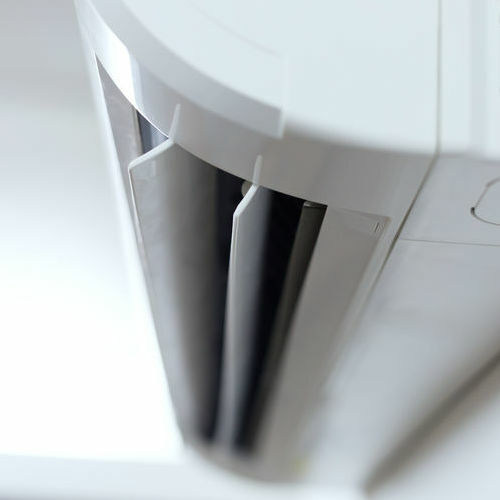 There are many different reasons why your air conditioner may be malfunctioning. The reason could be as simple as a blown fuse or a tripped circuit breaker. If your air conditioner won’t turn on, check the outside of the unit and make sure that the condenser is working. Next, make sure the thermostat is set properly, and the unit is plugged in. One of the simpler fixes is to set the thermostat on your air conditioner five to ten degrees lower than usual. Also, make sure the air conditioner is set to ‘cool’. 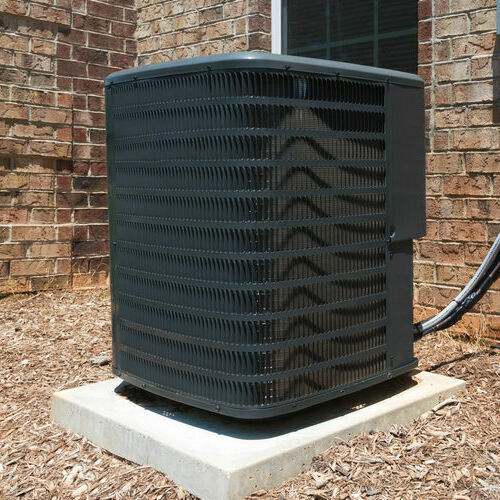 If the air conditioner still won’t switch on, or if the coil is frozen, you may have a dirty or blocked air condenser. Air conditioners provide a necessary service during high temperatures. If you need air conditioner repair, consult a local, trusted HVAC company to perform your cooling repairs. How Do You Fix a Leaking Air Conditioner? If you have a leaking air conditioner, there are several fixes you can utilize to try to solve the problem. The problem could lie with a cracked or missing drain pan. The drain pan is located underneath the evaporator coil and collects any condensate from your indoor unit. If the drain pan is cracked, rusted or misplaced, the water will not properly drain. 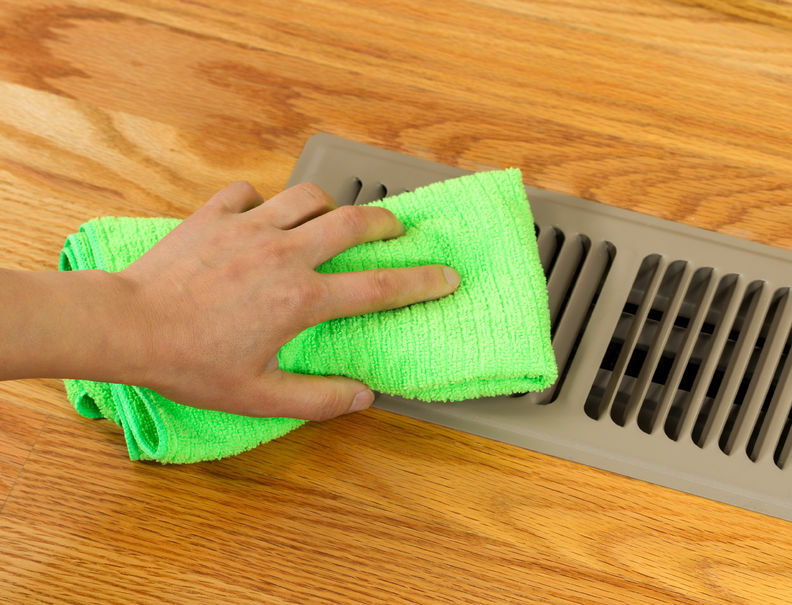 A clogged drain line or a clogged air filter could alternatively be the culprits for the leak. Algae and fungi can clog your A/C condensate drain line. Pouring approximately six ounces of vinegar into your drain line every few months will kill all algae and fungi build-up. If your air filter is clogged, air will be restricted, which leads to a wide variety of problems. Change the air filter every 30-60 days to avoid this problem. How Do I Reset My Air Conditioning Unit? The air conditioner needs to be reset when the circuit breaker is engaged and isn’t allowing the compressor to start. To this end, the circuit breaker will pop if there’s a surge in power supply or if there is a sudden blackout or brownout. This part of the system works to protect the air conditioning unit from fires and overheating. To begin, the air conditioning unit must have a steady supply of power and the current must be operating smoothly. Find the reset button, which is usually red and fairly small. Once you locate the reset button, press it continuously for three seconds, and then release it. After a few moments, press the button again for three seconds. The air conditioning unit should respond promptly with three beeps, and reset immediately. Many people wonder how often their air conditioners should be serviced. If you want your air conditioning unit to function well for many years, it is appropriate to have your unit serviced once a year. Ideally, this should be in the springtime when you’re just starting to use the unit again. If you feel that your air conditioner should receive some routine maintenance, call your local, trusted HVAC repair company. Air conditioning units provide a valuable service for homeowners. Thus, it’s important to understand what kind of repairs your valuable unit needs. There are a few things that you can do to ensure that your air conditioner is running smoothly. The first is to remove the debris near the unit. While you may need some direction on this next item, the procedure remains invaluable: clean the condenser coils every spring. Replace any relevant HVAC filters. Check for loose contacts or electric connections. Lubricate the motors and bearings. Changing the refrigerant and ensuring the condensate drain is clear are two other items on the routine maintenance list. Hot summers can be devasting for trees. If you need a tree assessment for your property, contact your local tree experts to receive an estimate accordingly. It is important to select an air conditioning repairman, or company that has excellent credentials, and a good reference list. Trusted local companies may be recommended or found on the internet. Look for a varied list of services, and check out the type of air conditioners that the company specializes in. Before you call the company, write down the type of air conditioner you have, what model it is, and what you believe the problem is. A good air conditioning company will schedule an appointment with you as soon as possible. Understanding how troublesome a malfunctioning air conditioner can be is part of good customer service. Feeling that cool rush of air as you step in from outside is integral in summer. But what happens when your air conditioner is malfunctioning? There is a limited amount of time before it’s time to consult your local, trusted HVAC company. You may consult the following steps to determine if you can resolve your air conditioning problems on your own. Thermostats need a change of batteries from time to time. If the display on your thermostat is blank, it might be time for a battery change. If the thermostat is still blank, the problem may lie with the power supply. Check your fuse box to see if any fuses have blown or tripped. If the power seems to be working correctly, your condenser could be the issue. Check outside to see if a fuse has tripped. At the end of the day, contacting an excellent AC repairman will be your best option if none of the steps yields the results you’re looking for. An AC repairman must have both experience, expertise, and a solid set of tools in order to manufacture the kind of result that customers need. The list of tools that an AC repairman has is vast. These tools range from a/c refrigerants to A/V vacuum pumps and accessories, to manifold gauge sets. Refrigerant identifiers are also a part of the competent AC repairman’s arsenal. Scheduling an appointment for your air conditioner has never been easier. Our staff at West-O-Plex Air Conditioning and Heating are ready to take your phone call at 817-244-2511. Discover more about what air conditioner in Fort Worth, TX needs to work perfectly for years to come! Posted in Uncategorized on April 24, 2019 at 11:50 am by West-o-plex. Are Furnace Maintenance Plans Worth It? Heating and cooling the home is crucial. As a homeowner, your environment must be both reliable and sustainable. Air-conditioning systems are important in the summer, but when that first breath of winter hits, it’s time to push up the thermostat. Who likes to shiver when you can feel the toasty warmth of your home? A trustworthy furnace will give any homeowner a sigh of relief when the windows start to fog from freezing temperatures. A furnace maintenance plan will give you the satisfaction of knowing that your furnace has been properly serviced, and won’t give you any problems. To start the process, give West-O-Plex Air Conditioning and Heating a call today at: 817-244-2511. What does a home furnace do? A home furnace is a device used for central heating in a home. Most homes in North America and Europe utilize gas furnaces, though other sources of fuel include liquified petroleum gas, fuel oil, and rarely, coal and wood. Electricity and induction (a process whereby heat is applied by induction heating of metal) are two other methods utilized in furnace manufacture. What would cause a furnace not to turn on? To begin with, determine whether your furnace is a gas or combustion-fuel model. Older models typically are gas or combustion-fueled, while some newer furnaces have electronic ignition. If your furnace is an older model, check to see if the pilot light is out. If your older furnace has a pilot light that won’t stay lit, the thermocouple (a copper rod that the pilot flame heats up) may be loose or faulty, the pilot orifice may be clogged, the safety cutoff valve may be defective, or the pilot flame may be set too low. If the problem lies with the thermocouple, the thermocouple will need to be replaced by a professional. Before attempting any further manipulation of the furnace, make sure the gas valve is turned off. You should also turn off the electric circuit-breaker that controls power to the furnace. You can clean a blocked orifice in your furnace with a thin piece of wire. Knock out any debris in the orifice where the pilot flame is usually alight. In order to fix a low pilot flame, you will turn the flame adjustment screw. Consult your owner’s manual to locate this mechanism. You will need to achieve a steady flame of 1 ½ to 2 inches with no yellow in it. If the problem lies with fuel for your gas or oil-burning furnace, make sure the valve on the gas pipe is turned on. If you suspect a furnace gas leak, immediately make plans to remedy the situation! Gas leaks are fatal, and normally occur in gas valves or furnace cracks. If you smell natural gas in your house or around your furnace, turn off the source of the gas by locating the gas valve and turning it, using a 12-inch or larger adjustable wrench. Turn the valve a quarter inch (¼) until the valve is crosswise to the pipe. If this is not possible, vacate the premises and call your fire department. If your model is of the electronic ignition model-type, turn down the thermostat or use the on/off switch to reset the ignition control module. See your owner’s manual to determine whether you will then experience the sound of a spark, or watch the hot surface igniter glow. If the furnace won’t light or lights, but fails to remain lit, call a furnace repair technician. Do You Need Furnace Replacement? How does a homeowner know when it is time to replace their furnace? The answer lies with a series of factors. If your furnace is over twenty years old, there’s a likelihood that the furnace no longer has optimum efficiency. If your furnace is energy efficient, that efficiency rating will translate into a lower electricity bill. Additionally, twenty-year-old furnaces are more likely to have an accumulation of dust and debris, which will negatively impact efficiency. Another factor to consider is furnace repairs. If your furnace is continuously in need of repair over a six month period, it’s a sign that you should replace your furnace. Replacing your furnace will assist with creating higher energy efficiency. Does the Furnace Control Hot Water? Let’s define the difference between a furnace and a boiler. The furnace creates hot air which then circulates through the house through air ducts. A boiler often has a smaller furnace attached to it, which then heats up the water. 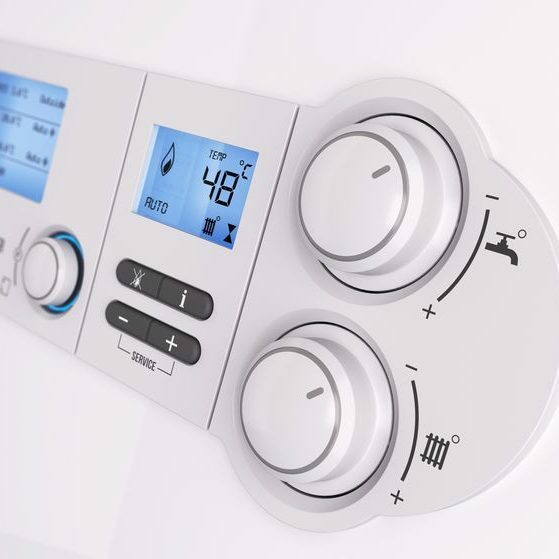 Once the water has hit the boiling point, heat is distributed through the central heating system. Furnaces, and boilers are connected, and establish the purpose of heating your home. Do You Need a Furnace to Have Central Air? The simple answer is that you have to have a furnace in order to have central air. A furnace uses fuel and air to create combustion, and thereby creates warmth. With a system of air ducts in place, this warmth can be funneled to connected rooms in the household. The thermostat regulates the distribution of warmth throughout the rooms by turning on and off once a certain temperature has been achieved. How Do I Know if My Furnace Thermostat is Bad? If your thermostat is under or over heating your household, the problem may lie with your thermostat. Older thermostats, models of mercury or analogue, contain plastic parts which may become damaged. A visibly damaged older model, such as the one indicated, would need to be replaced. Opening up the thermostat may also reveal some clues. Does the interior of the thermostat contain a lot of dust, grease, or build-up? This could be the reason why the thermostat is malfunctioning. If there are any loose wires, or broken components inside or outside your thermostat, this could also be an indicator of the problem. Is the internal battery discharged? It’s possible. Change your air filter. You can find the dimensions on the side of your current air filter, which is labeled by Length x Width x Depth. Replace your air filter every 90 days. Looking for another path to energy efficiency? We recommend Armstrong’s Glass and Mirror. Armstrong’s Glass and Mirror is a Fort Worth glass installation and repair expert. All furnace problems can be resolved easily and to the homeowner’s satisfaction with a furnace maintenance plan. To start the process, give West-O-Plex Air Conditioning and Heating West-O-Plex Air Conditioning and Heating located in Fort Worth, TX, a call today at: _817-244-2511. Posted in Uncategorized on February 26, 2019 at 10:49 am by West-o-plex. 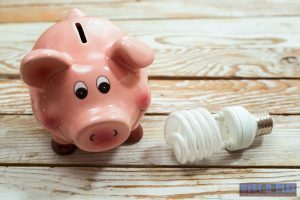 How Can You Save Money On Your Energy Bill? Turn Your Thermostat Down In The Winter. Everyone is always looking for the best way to save money on their energy bill. Whether it is turning off your lights or keeping your home cool in the winter and hot in the summer, every nickel and dime counts these days. We will go over some tips that can help you to save on your energy bill as much as possible. Small changes can make a big difference in the long run, but if you are adamant about saving large amounts of money, there are options for solar, or special units that are made with green features in mind. We are here to help you save as much as you can and still remain comfortable in your home. We never want you to feel uncomfortable in your home just to save a little money here and there. Read the following tips and see what they can do for you and your home. Bundle Up – When it’s cold outside, the inside of your house is going to get cold at one point or another, especially if you have wood or tile floors. This means that you either need to build a fire, turn your heater on, or bundle up in some warm clothes. If you can stand to keep your thermostat turned down a little lower in the winter, a warm jacket and some fuzzy socks may help counteract the cold a little bit and make it more tolerable. Ceiling Fans/Portable Fans – In the summertime, running your A/C all day long can get very expensive. Something you can do about this is to turn your air conditioning up a little higher than normal, somewhere around 77-78 and then turn on a ceiling fan. At night when the heat can be unbearable to sleep in, you can place a portable fan next to your face and keep yourself cool that way. This will cool you down and help you to lower your energy usage for that day. Open Curtains – In the winter, you want to keep your curtains and blinds open to let the sunlight in. Believe it or not, the sun outside can help to warm up your home and help you not have to turn your heater up so high. Many people keep their curtains closed because they think it will help keep the heat in, but that isn’t the case at all. Let that sunlight in and enjoy it! Maintenance – If you are serious about keeping your energy bill down, you will want to make sure you are doing your monthly maintenance regularly. That means that you are calling out a company to come and look at your system twice a year and clean it out for you. This also means that you are changing out your filters every 3 months like you are supposed to. If you have animals, you may want to consider changing them out even more often. Keep Your Thermostat Low – When it is cold outside, keep your thermostat as low as you can tolerate it. We recommend somewhere around 66-68. If you have a wood burning fireplace, put a log on and warm your home up that way as well. 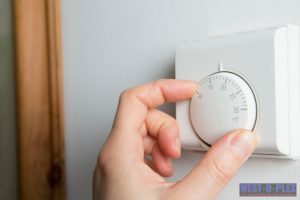 The best thing you can do is keep your thermostat at the same temperature all of the time so that your system is not constantly kicking on and then back off again. Use LED Holiday Lights – When the holidays roll around, consider using LED lights instead. These type of lights will use around 75% less energy than traditional lights. They also last a lot longer as well. It is an easy change to make, that will make a pretty large difference. There are so many small things that you can do to save money on your energy bill. The biggest changes will come from making sure that you keep your temperature in your home lower or higher depending on the time of year and making sure your regular maintenance is done. If you start to notice that your bill is getting higher out of nowhere, you should first check your filters and see if they are too old or have gotten too dirty. If that is not an issue, then make sure that you are checking your thermostat and that it is in the on position and is not set to run all day. These are two very common problems that tend to be called on and turn out to be nothing more than a simple mistake. Here at West-O-Plex Air Conditioning and Heating, we are here to help you make sure that your HVAC unit is always running as smoothly as possible. We can answer your questions and be there if you need it. If you need to lower your energy bill in Fort Worth, TX, call us at 817-244-2511 and we can help you. Posted in Uncategorized on January 10, 2019 at 11:43 am by West-o-plex.